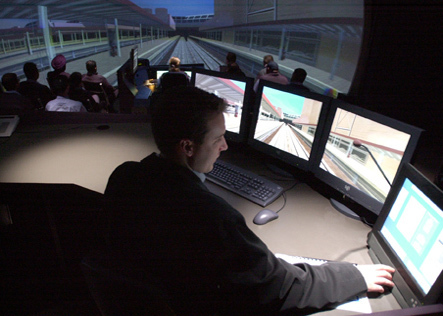 Since 1999, SimCon Services has provided simulation services to customers such as: Transport for NSW; Department of Defence; Department of Industry; Thales; CAE Australia, Simulation Australia; the Australian Defence Simulation Office; Monash University; and Adacel Technologies. Projects include: technical and project management of train simulators and virtual reality facilities; assisting preparation of tenders for air force and army simulators; business strategy; quality systems development; simulation standards study; and technical company due diligence assessment. Organisations purchasing or implementing simulation systems, value SimCon Services' independent advice. Copyright © 2015 SimCon Services ABN 36 088 981 775. All Rights Reserved.